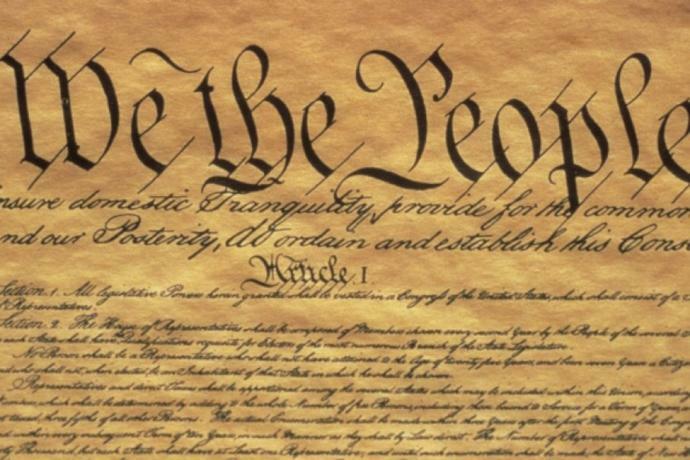 If you could change something from the U. S. Constitution, what would it be? and why would you make those changes? I think I would clarify the second amendment. Make it clear that it is not oriented towards having a militia, but it is a right of each individual person. I would make it so that each law that is written cannot have other laws attached to it. Each law has to be a maximum of three pages. Second amendment would be definitely a big one I would change. The First, the Fourth, and the fifth a amendment would be emphasized even more. I like the idea of of emphasizing on the 1st and 5th amendments! Maybe making the wording a little more streamlined. I had to basically write the entire Constitution and the Articles of the Confederation in high school, and I can tell there's a lot of verbal padding in them. It would be nice if they actually followed the 10th amendment. What is your opinion on the heartbeat bills which ban abortions past 6 weeks? Is it HATE SPEECH if a Black Liberal says that he wants to "clean" his country of White people and does to them what Hitler did to Jews? Is it evil or wrong for a 19 year old male to date a 16 year old female? Why is it, that if you say Africa is for Africans, it's acceptable, but if you say Europe is for Europeans, it's evil and fascist? Why Do Dress Codes Tend To Be So Strict For Girls? I would ensure that abortions would not be allowed. @BlackDawn Okay only if necessary to save the life of the mother. So you’re ok with her damaging her body, social life, educational opportunities, future and become financially devastated, all because you don’t find it acceptable? Good to know. @BlackDawn I am okay with preventing murder. Obviously, we have different perspectives. Good as am I. But abortion is not murder. A man of your wisdom should know this by now. You don’t see it how it actually is. It’s damaging to the woman’s body, damages her relationships with friends/lovers/family, puts her education on hold for 18 years at minimum,’puts her in debt and ruins her financially, all for something she doesn’t want to have. That’s fucked up dude. @BlackDawn Being convinced that you are right does not mean that everyone else is wrong. Then don’t use the term of murder in reference to abortion. Don’t support pushing your personal ideology on others and support things that remove a woman’s right to choice. That’s just fucked up dude. @BlackDawn What am I doing to push my beliefs on you? Have I called you "fucked up?" I’m saying don’t do that, not that you are doing that. It’s like telling a child not to put his hands on a hot iron. Nope but you wouldn’t be wrong. But supporting things that attack a woman’s human right to choose, that removes her sovereignty over her own body, and causes real harm, is fucked up. It’s fucked up to take the term murder and apply it to something that isn’t murder. Someone actually older and wiser would know this and wouldn’t need someone half their age to explain it. @BlackDawn You are stuck in the arrogance of you are right and someone else who disagrees is wrong and needs to be corrected. You see it as sovereignty over your body but I don't see the child inside you as your body. If you are incapable of appreciating anyone else's perspective, then you will simply continue to be arrogant and self-righteous. And you can tell me that I am not wise; however, I understand your perspective and you don't understand mine so maybe you simply don't appreciate the real meaning of wisdom. I suspect that you want to have the final word so go ahead and take your parting shot. It’s a fetus, not a child. And the fetus doesn’t have any right to control me nor do you or anyone else. It is my body and I am the sole arbiter of who gets to use it. When you support things that cause real harm to people, you can consider yourself wise, you can even consider me selfish or arrogant , or self righteous, but I’m not causing anyone harm. I’m not supporting the removal of half the populations rights. You say you understand, but you don’t. Not really. You are at zero risk except maybe child support. You don’t have to risk being physically damaged or even die from an unwanted pregnancy. You don’t need to go into debt because someone forced you into birth. You don’t have to put your job, future and relationships on hold. You don’t need to postpone your education for 18 years. We do. I'd make it more clear that the federal government was meant to be highly limited, and put in assurances that it would remain that way. I think if the founders saw what become of the country they'd ditch the federation altogether and revert back to the original confederation. I would significantly expand the protections of the First Amendment and also make an amendment to keep money out of politics in a manner that would be almost impossible to abuse or find a loophole around. I would came it to eliminate the Senate and the electoral college that gives a huge share of power to a small number of people on rural States. One person, one vote. An amendment should be added that clarifies that "living interpretation" is not allowable and that originalism is the only way to proceed. I'd be more inclined to preserve those rights rather than try to change them. I'd make an amendment to have no protections on illegals. I don't know. I'm from Ireland girl!! Ambition Has No Age Restriction Why I am a Royalist My (unasked for) and unpopular opinions What is Georgia, why it's unique and why it's "country and not state!" A Justification for the Criminalisation of Tobacco! Home > Society & Politics > If you could change something from the U. S. Constitution, what would it be? and why would you make those changes?